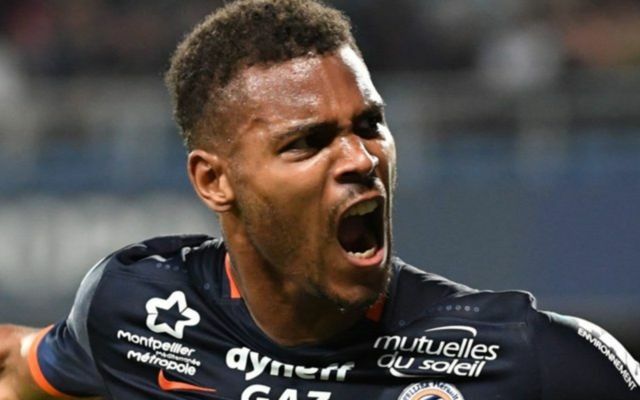 Newly promoted Premier League side Huddersfield have completed the signing of 22-year-old Montpellier forward Steve Mounie for a club record-fee believed to be in the region of £11m, according to Sky Sports. Huddersfield, who beat Championship side Reading on penalties in the play-off final in May, have signed the striker, who scored 14 goals in 35 Ligue 1 appearances last season, on a four-year deal, reports Sky Sports. Mounie, who was one of the top scorers in France last season, had his move to the Terriers delayed by a few days due to the unfortunate passing of Montpellier President Louis Nicollin, as per Sky Sports. The Benin international, who has spent the last four years at former Ligue 1 Champions Montpellier, becomes the fourth signing to be made by Huddersfield in the last 24 hours as reported by Sky Sports, after the club announced permanent deals for Tom Ince and Danny Williams, whilst securing a season-long loan deal for Chelsea youngster Kasey Palmer. With this signing of Mounie, as well Ince, Williams and Palmer, Huddersfield look to be building a team strong enough to avoid relegation next season.